Recently I have been writing a lot of articles on Nadex. Nadex is something incredibly rare in the world of binary options online: a CFTC-regulated exchange. This in itself would be a substantial enough reason to give Nadex a firm recommendation, but there are so many additional reasons why Nadex is awesome. Consider the following. On this site, you can trade as long as you want on a demo account with no strings attached. You get access to fully functional charts with dozens of indicators. You can use Early Close without worrying about severely limiting restrictions. You can trade economic events directly without gauging market reaction. In short, Nadex empowers you in numerous ways. One thing you will notice when you is that the site uses a proprietary platform. That platform is quite a bit different from SpotOption and the other common white label platforms used by most binary options online brokers. At first glance, it is actually pretty daunting. I decided to explore it in-depth so that I could write a . While I was doing that, I realized something. It has been a while since I have been involved with Forex trading, but I started to get a sense of déjà vu. Suddenly I realized that Nadex’s binary options online tickets actually are set up in a format that is very similar to the FX tickets I used to fill out back in the day when I was still trading Forex. It occurs to me that even though these tickets are more complicated than SpotOption orders, some Forex traders may actually find them easier to use. After all, they represent a very minimal transition. Let’s say you do decide to give binary options online trading a try on Nadex after a history of FX trading. In many ways, binary options online trading on Nadex is very similar to what you are already doing. You may even able to use your existing trading method. You may need to make some simple modifications, but it should not be too tricky to adapt. No more margin calls. Nothing is worse in Forex trading than the dreaded margin call. You can of course take steps when you set up your trades to prevent this from ever happening to you, but it will not be an issue at all on Nadex. Your risk is always clearly defined up-front. That amount of money you can lose is capped and finite. The ticket will inform you as to the maximum loss which is possible, and will never allow you to trade unless you have sufficient funds to cover that loss. You can trade more than just currencies. Forex is of course “Foreign Exchange” trading. That means that you can only trade currency pairs. With binary options online trading on Nadex, you also get access to commodities, stocks and indices. As many FX trading methods translate fine to other types of assets, this can really expand your trading operations. You can trade economic events directly. One of the coolest things about Nadex is that you can trade several different economic events (including the Nonfarm Payroll) as distinct assets. That means you can profit simply by correctly guessing what will happen with the report itself. You do not need to predict how the market will react! This vastly simplifies fundamental analysis. Market orders and Limit orders are available, but no Take Profit or Stop Loss. Nonetheless, you can get out of your trades early. You can do this by setting up an opposing order. Imagine you have an open “buy” contract and you want to take profit or halt your losses. You can click on the open contract, and Nadex will automatically pull up a second ticket window. This ticket will allow you to swiftly place an opposing sell order. Place the order and wait. 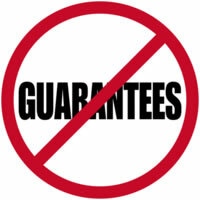 Unfortunately there is no guarantee that you will get out of the trade. The system needs to find someone to take the other side. If someone does, you will be released. Otherwise, you will have to wait for the trade to expire. So as you can see, there are some good things and some bad things about transitioning from Forex trading to binary options online trading on Nadex. Binary trading opens some doors of opportunity by allowing you to trade more assets, including economic events. You can get away from margin calls and some of the dangerous complexities of money management in FX. On the downside, exiting trades early is an uncertain process. Because binary options online trading has its pros and cons (like Forex), chances are good that you will find yourself doing both. Why Pick Nadex and Not Another Broker? (my review) is a trustworthy company regulated by the CFTC. As a FX trader, you probably are used to dealing only with regulated brokers. You will feel a lot safer trading with Nadex than you would trading with some unregulated broker overseas. Nadex is an actual exchange. That means that other traders actually take the opposite side of your trades. Other binary options online brokers do not do things that way. Most of them take the opposing end of your trades themselves, which means they are motivated for you to lose! Nadex on the other hand has no stake in whether you win or lose any specific trade. They profit from modest fees on all trades. That means Nadex values your long-term patronage. They want you to do well enough to want to stick around, so they provide plenty of learning materials. Your funds are segregated. Many other binary options online brokers engage in some shady practices—for example pooling your money with the company funds. That will not happen with Nadex. Your money is kept in a segregated fund, so it is safe. Nadex offers real charts. So many binary options online brokers offer only the most basic charts. They are small and barely functional with very few indicators or visualization tools. You can actually plan trades with Nadex charts. This is the best Early Close you are going to find. A lot of binary brokers offer an Early Close feature that is only partially functional. They may restrict you only to using it to take profit or to stop your losses, but may prohibit you from doing both. Nadex lets you use the Early Close feature as you feel fit. You get a non-restricted demo account. Not a lot of other binary options online brokers offer you this. In fact, many do not offer demo testing at all. If they do, you usually lose your access after a few weeks—or have to make an initial deposit to use it at all. Nadex does not demand any money or trust from you to demo test, and you can use the demo account as long as you need it. If you are currently a binary options online trader thinking about getting into Forex, I highly recommend trading on Nadex as a transitional step. Even though Nadex is still binary trading, the interface is very close to what you will encounter if you do sign up for an account with a Forex broker. Making the shift from Nadex to Forex is going to be a lot easier than making the leap from whatever broker you use now. Whether you are a binary trader now thinking about trying FX, or you are a Forex trader thinking of trying binary options online, Nadex is an excellent exchange to trade with. Nadex brings you the best of both worlds: the controlled risk of binary options online trading along with the trust, transparency, and trading tools you would expect from a top Forex exchange. Be sure to read my full in-depth Nadex review to learn more.